WASHINGTON—In an incredible play that drew cheers from the whole stadium, Washington Nationals left fielder Jayson Werth managed to catch a foul ball Tuesday night without spilling the beer he was holding in his other hand. 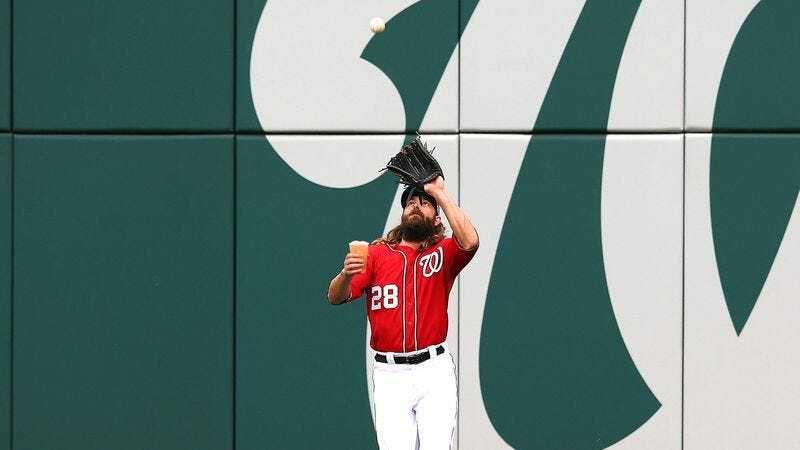 “I saw it come off the bat, and I was like, oh man, it’s coming right toward me,” said Werth, adding that he didn’t have time to put down his clear plastic cup of Miller Lite before the ball reached him. “I hadn’t really been paying attention before that, so it was a good thing I looked up. It was just an instinctive reaction more than anything else. I’m just glad I didn’t get beer all over my new jersey.” Werth added that, while his feat was impressive, it pales in comparison to Brandon Crawford catching a foul ball earlier this season while holding his baby.